NALSAP is led by a dedicated team of volunteer leaders working within the field of law school student affairs. The eleven-person board of directors is the NALSAP governing body and is assisted by a number of committees each with their own charge. The board meets three times per year. Amember meeting is held once a year at NALSAP’s annual conference where the Board updates the membership about activities and projects. To learn more about becoming a member of the NALSAP board, click here. Rebekah wears a variety of hats at McGeorge School of Law including providing academic advising and personal support for law students, overseeing student organizations and the SBA, teaching a for-credit leadership course, authoring theStudent Handbook, preparing the law school’s responses to the ABA Questionnaire, and working with the Associate Dean for Academic Affairs on curriculum planning and course scheduling. Rebekah has spearheaded many wellness initiatives at McGeorge including forming a Wellness Committee, coordinating bi-annual Wellness Weeks, and forming a meditation group for students, staff, and faculty. In her free time, Rebekah enjoys time spent in nature, personal growth work, and the company of friends who are like family. She is also a founding member and the President of NALSAP. Macey Lynd Edmondson, J.D., Ph.D.
Macey Edmondson is the Assistant Dean for Student Affairs at The University of Mississippi School of Law. In her role as Dean of Students, she assists students with disabilities by working with the Student Disabilities Services department and providing support and accommodations. She oversees all law student organizations and implemented the university’s first School of Law Living Learning Community for freshmen. During her first year as dean of students, she was chosen by the student body as the recipient of the Joan K. Murphy Outstanding Law School Staff Member Memorial Award. She also served as Co-director for the Council for Legal Education Opportunity (CLEO) three years in a row. Additionally, she was chosen as Chair of the Executive Board for the Student Services Committee of the Association for American Law Schools and to serve on the Mississippi Advisory Committee to the U.S. Commission on Civil Rights. Macey received her J.D. and Ph.D. in Higher Education at the University of Mississippi. She also received a B.S.B.A. in Banking & Finance from the University of Southern Mississippi. Macey is a founding member and President-Elect of the National Association of Law Student Affairs Professionals. Adrienne Packard currently serves as Director of Student Affairs at Howard University School of Law. Prior to joining the Student Affairs team at Howard, she served as Associate Director of Student Affairs at the University of Chicago Law School. As Director of Student Affairs she counsels and advises law students on personal, academic, curricular, and career matters. She is also responsible for overseeing student organizations, ADA accommodations, professionalism and wellness programming, and graduation and orientation activities.Prior to working in law school student affairs, Adrienne worked as a legal aid attorney providing direct legal services to indigent residents in the District of Columbia and Boston areas. She also supported and championed pro bono efforts through her work at the ABA Center for Pro Bono.Adrienne earned her B.A. from the University of Washington and her J.D. from Howard University School of Law. 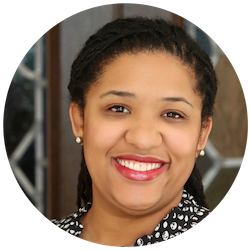 As a law student she served as Co-Captain of the Charles Hamilton Houston Moot Court Team, a member of the inaugural class of the Fair Housing Clinic, and an active member of the Howard Public Interest Law Society. Emily Scivoletto is the Associate Dean for Academic and Student Affairs at UCLA School of Law. She coordinates designated academic programs and curriculum development, provides students with support to meet their academic, professional and personal goals and teaches in the areas of ethics, leadership and the legal profession. She regularly presents workshops and meets with students to provide academic advising, personal counseling, and guidance on student life & activities, diversity and inclusion issues, state bar licensure and overall success in law school. She previously taught and served as Director of Academic Success at UC Davis and McGeorge Law Schools, and served as Dean of Students at USD Law School. Prior to entering academia she practiced law in Sacramento for six years, where she handled insurance defense and civil rights litigation cases. She holds a J.D. degree from Pacific McGeorge School of Law, an M.A. degree in Higher Education from California State University Sacramento and a B.A. degree from UC Irvine. Emily is a founding member and the Treasurer of the National Association of Law Student Affairs Professionals. Johnny Pryor serves as assistant vice chancellor for the Division of Student Affairs at Indiana University-Purdue University Indianapolis (IUPUI). Johnny joined the IUPUI Division of Student Affairs in January 2019. In this role, he oversees the planning and administration of Campus Recreation, Counseling and Psychological Services (CAPS), Educational Partnerships and Student Success (EPSS), Health and Wellness Promotion, and Student Health Services. As a member of the executive team of the Division of Student Affairs, Pryor provides leadership for initiatives that enhance student learning, promotes student engagement and fosters a culture of belonging. In addition, he serves as an adjunct lecturer for the Purdue School of Engineering and Technology at IUPUI teaching employment law. Prior to joining the Division of Student Affairs, Pryor served in various roles in academic and student affairs for more than 15 years. Recently, for more than eight years, he served as assistant dean for student affairs at Indiana University Robert H. McKinney School of Law, overseeing academic advising, registration and records, student organizations, wellness programs, and several initiatives to enhance the student experience. Additionally, he served as senior assistant director of Career Services at Dartmouth College and director of Post-Graduate Studies at Butler University. At the national level, Pryor is co-founder and past president of the National Association of Law School Student Affairs Professionals (NALSAP), former at-large board member of the Northeast Association of Pre-Law Advisors, and member of the National Association of Student Personal Administrators. 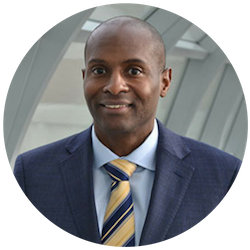 In the Indianapolis community, a graduate of Class XLII, Pryor serves on the advisory council of the Stanley K. Lacy Executive Leadership Series. 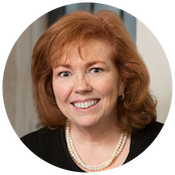 Ellen M. Cosgrove joined Yale Law School in 2015 as Associate Dean overseeing the Offices of Student Affairs and Career Development. Dean Cosgrove came to Yale with twenty years of experience in higher education as an Associate Dean and Dean of Students, first at the University of Chicago Law School (1995–2004) and then at Harvard Law School (2004–2015). A 1984 graduate of Mount Holyoke College, Dean Cosgrove spent four years in corporate and investment banking in New York before attending law school. She graduated from the University of Chicago Law School in 1991 and practiced law at LeBoeuf, Lamb, Greene and MacRae (an international law firm headquartered in New York City, now defunct) before transitioning into higher education. Dean Cosgrove currently is a trustee at the Practicing Law Institute, Inc., a nonprofit continuing legal education organization and serves on the Board of the National Association for Law Student Affairs Professionals. She previously served as a trustee of Mount Holyoke College, a director at Lawyers Concerned for Lawyers, Inc. (Massachusetts’ lawyers’ assistance program), and a member of the Executive Committee of the Association of American Law Schools (Student Services Division). Dean Cosgrove has been honored by the students at Chicago (2001), Harvard (2006, 2009, and 2011) and Yale (2017) with awards recognizing her contributions to the law school community. Brandi Welch is the Director of Academic Advising and Student Affairs at the University of Texas School of Law in Austin. 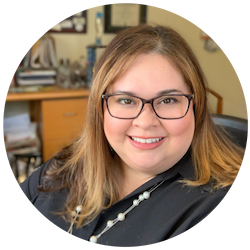 Prior to joining the law school in 2008, Brandi worked as a corporate associate at Vinson & Elkins in New York and at Wilson, Sonsini, Goodrich & Rosati in Austin. At the law school, Brandi’s portfolio includes school wide academic advising programs, academic support (including bar exam preparation), disability accommodations, personal and academic counseling, and management of the Dean’s Fellows, a group of upper-class students who mentor the first-year class. Brandi received her undergraduate degree from the University of Michigan in Ann Arbor and her law degree from the University of Texas. A lifelong learner, Brandi also holds a 2018 M.Ed. from The University of Texas Educational Leadership and Policy Department at the School of Education. An avid college football fan, Brandi sincerely hopes that the Longhorns and the Wolverines never play each other again. Ever. Darren Nealy serves as the Assistant Dean of Students at The Ohio State University Moritz College of Law. His office oversees academic advising, academic counseling, orientation, mentoring programs, student organizations, exams, accommodation implementation, course registration, records, and more. 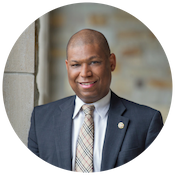 Prior to joining Ohio State, Darren served as the Director of Student Services at The University of Michigan Law School and the Director of Multicultural Affairs at Capital University Law School. Before working in higher education, Darren served as the Executive Director of the Tobacco Public Policy Center in Columbus, Ohio. His professional background also includes approximately seven combined years as a litigation attorney at the firms of Zeiger, Tigges & Little and Carpenter & Lipps. 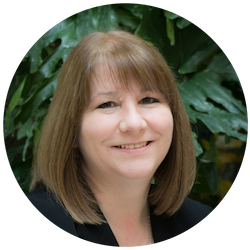 Jennifer’s career in higher education student affairs spans over 20 years including work with undergraduate, graduate, and professional students. Since 2013 as Dean of Students at Oregon Law, Jennifer serves as a member of the Dean's executive team which is focused on strategic planning, coordination, and implementation of academic and programming initiatives. Her direct responsibilities include all aspects of student life and her mission is to enhance the personal and professional success of each student. Jennifer advises SBA, and she supervises the Assistant Dean of Admissions, Assistant Dean of Student Affairs, Assistant Dean of Career Planning and Professional Development, Director of Diversity, Inclusion, and Leadership, and the Program Director for the Conflict and Dispute Resolution Master’s Program. 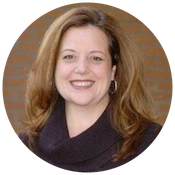 Jennifer also directs the Frohnmayer Leadership Program – a comprehensive leadership development initiative, and she teaches the Leadership Practices for Professional Success course. Jennifer earned her B.A. in psychology from the University of South Florida and her J.D. from the University of Miami School of Law. She volunteers her time as a co-lead facilitator for LeaderShape, Inc. and also as a citizen buddy for Best Buddies, International. 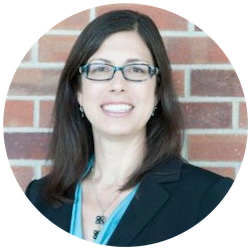 Jennifer DiSanza is currently the Assistant Dean for Student Services and Law Chief of Staff at the University of Louisville Brandeis School of Law. 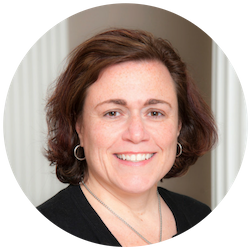 Prior to joining Brandeis, she served as the Assistant Dean for Student Administration at Capital University Law School in Columbus, OH and the Director of Student Affairs at the University of Maryland School of Law. She received her JD from the University of Maryland, MS from Johns Hopkins University and BS from Miami University in Ohio. In 2013, she served as Chair of the AALS Section of Student Services. Before law school, DiSanza spent several years working in Human Resources and production management. In addition to her work in Law Student Services, she designs and implements a comprehensive development program for the staff at Brandeis. She also coaches and counsels supervisors on various aspects of management. In Spring 2019, DiSanza developed and taught a new course, “Law and Leadership” to upperclass Brandeis students. Pam Shea is the Assistant Director of Student Life and Interim Co-Director of Career Development at University of North Dakota School of Law. Pam joined UND School of Law in 2011. In her roles, she works primarily with programming, student organizations, career development, admissions/recruitment, exams, and data reporting (ABA, NALP, U.S. News, etc.). 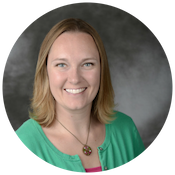 Prior to joining the School of Law, she worked with the College of Nursing and Professional Development at UND as the Graduate Program Specialist, assisting with admissions, retention and student records. Pam received her Master of Science degree in Educational Leadership – Higher Education from University of North Dakota and her Bachelor of Science degree in Childhood Studies Education from Plymouth State University. 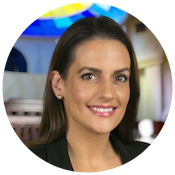 Meredith D'Angelo is the Assistant Dean for Law Student Affairs at the University of San Diego School of Law, where she provides strategic leadership on academics, administration, and policy initiatives to support law students’ evolving needs. She oversees the departments of Law Student Affairs, Academic Success and Bar Programs, and Registrar’s Office. D’Angelo draws on fifteen years of experience working with professional students from diverse backgrounds to ensure that every law student has the opportunity to be active, engaged and successful. She advises students regarding curriculum, co- and extra-curricular opportunities, study skills and exam preparation, and oversees programming designed to help students realize their goals in law school and on the bar exam. Previously, D’Angelo served as director of the Office of Graduate and International Programs, managing the law school's LLM and MS degrees, global summer study abroad and semester exchange programs, and legal scholar programs. Prior to entering academia, D'Angelo worked at a San Diego law firm which specialized in business, bankruptcy, civil litigation, and alternative dispute resolution. D'Angelo earned her JD from the University of San Diego School of Law and BA from the University of San Diego and is a former NALSAP board member. Francine Herlehy is the Assistant Dean (Student Services) at the University of Windsor, Faculty of Law, a position she has held since 2006. Francine is a graduate of Windsor Law (1989) and prior to her appointment at Windsor Law, practiced law with a focus on medical negligence and personal injury cases. Francine is active in many professional associations and regularly presents on matters related to law school admissions and student services. 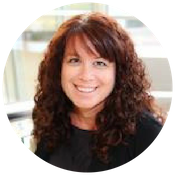 Lisa Ferreira is the Assistant Dean for Student Affairs and Title IX Coordinator at Thomas Jefferson School of Law. As Assistant Dean, she oversees the offices of ADA compliance and Title IX, serves as the Primary Designated Officer for international students, and provides academic and personal counseling. She has 30 plus years of experience in legal education within a standalone law school. 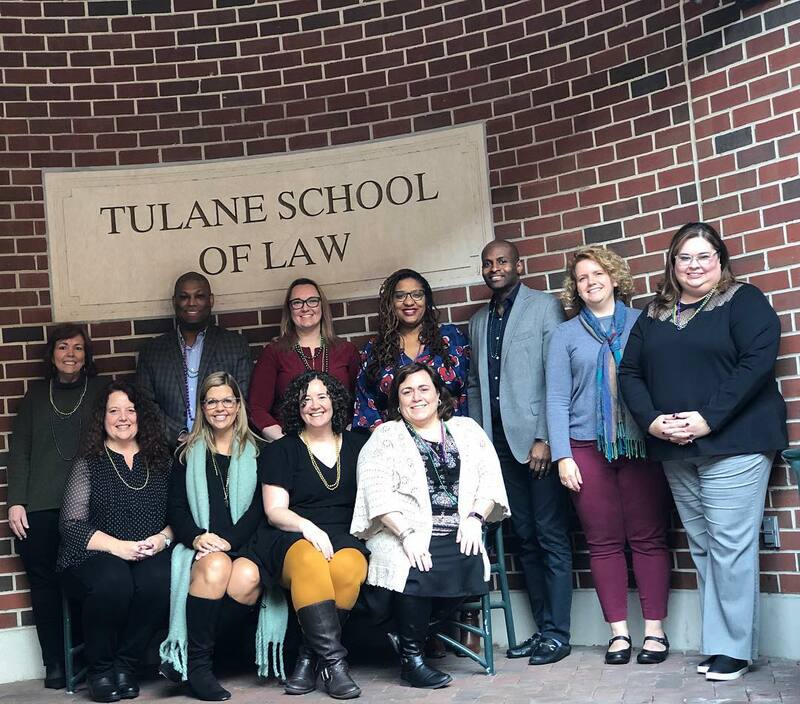 Lisa has presented at AHEAD, AALS, and Pre-Law Advisors Meetings on issues relating to accommodations for students with disabilities, graduate advising for the bar, as well as mental health in law school. She earned a B.S. in Human Services and a MSC in Marriage, Child, and Family Therapy. Melissa Berry is the Assistant Dean for Student & Career Services at the University of Washington School of Law, where she leads the department responsible for professional development, career planning, and student organization support, academic advising, and wellness. 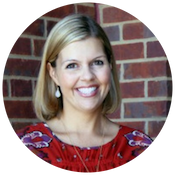 Melissa has over thirteen years of experience in legal education as a senior administrator and faculty member. 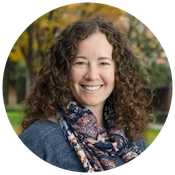 Before returning to UW Law in 2016, Melissa served as Assistant Dean of Career Services and as an Associate Professor at Chapman University Dale E. Fowler School of Law. Melissa also was a Visiting Associate Professor at the University of Missouri School of Law. She began her career as a judicial clerk for the DC Circuit and the Western District of Wisconsin, and she was an associate at Latham & Watkins in Washington, DC and at Perkins Coie in Seattle before transitioning to higher education. Melissa earned her JD from Northwestern University School of Law and her BA from Tulane University. 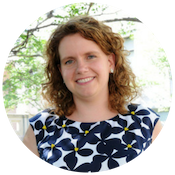 Melissa is the Vice-Chair of the AALS Student Services Section’s Executive Committee, President of the Seattle Area Legal Recruiting Association, and Co-Chair of MAMA-Seattle’s Mentorship Committee. She currently serves on NALP’s Nominating Committee and as Co-Chair of the Professional Identity Formation Work Group.